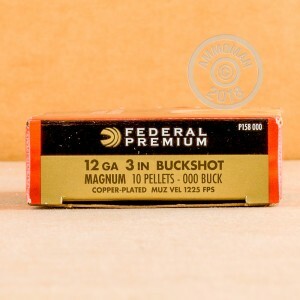 This Vital-Shok shotshell ammunition from Federal uses extra-large 000 buck to create larger wound channels in game animals. Each 3" magnum shell fires a 10-pellet payload at 1,225 feet per second. The shot is copper plated for more consistent patterning and better penetration. These shells also include several accuracy-enhancing features including Federal's own spiral stacking arrangement and polymer buffering. 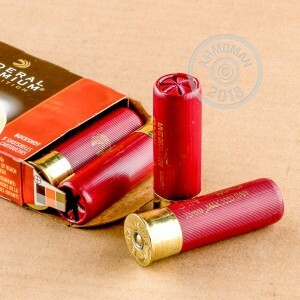 Each of these boxes contains 5 shells, so make sure to order extra if you want to get some proper target practice or hunting done. Remember, all orders over $99 at AmmoMan.com ship for free! I recently changed my email address so had to re-register. I have received excellent service from you for quite a few years.